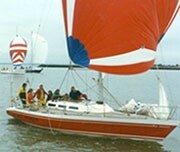 EAORA has been involved in promoting offshore racing in the East Coast for well over 60 years now. 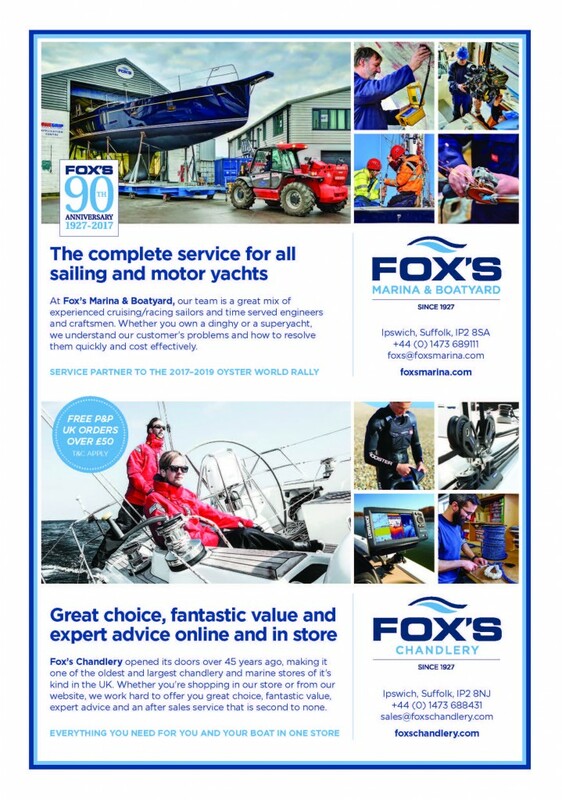 National and internationally recognised sailors and yachts have participated in the various races over the years. Currently a strong fleet from up and down the East Coast - and often farther afield. 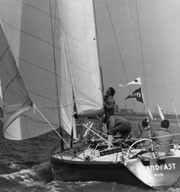 Thelate Jan Wise wrote a thorough and detailed account of the first fifty years of the East Anglian Offshore Racing Association telling the story of the yachts and the sailors. Sir Peter Blake wrote the foreword. In the post-war years the East Anglian Yacht Clubs Conference met annually to coordinate East Coast racing fixtures. Roger De Quincey, a boatyard owner from Southwold, of the St George's Sailing Society mooted the idea of a new Association to concentrated on cruiser racing and offshore events, in a series to attract entries from up and down the East Coast. This suggestion received enthusiastic support and the inaugural meeting was held in Ipswich at the Crown and Anchor Hotel on January 29th 1950. The 15 clubs represented at the inaugural meeting were the: Royal Harwich YC, Royal Norfolk & Suffolk YC, St George's Sailing Society, Aldeburgh YC, Waldringfield SC, Deben YC, Felixstowe Ferry YC, Orwell YC, Pin Mill SC, Wivenhoe SC, Blackwater SC, West Mersea YC, Walton and Frinton YC, Crouch YC and the Royal Burnham YC. Thus all the major East Coast rivers were represented and the Association formed. 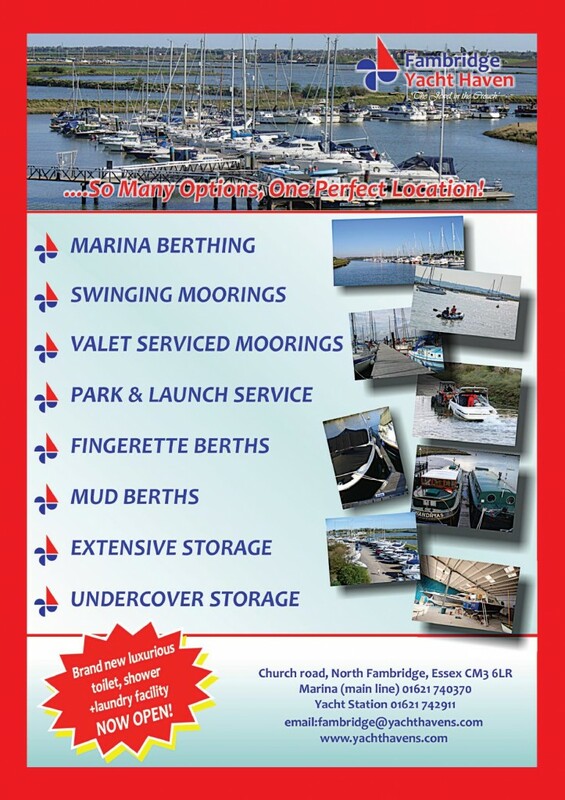 The stated aims of the newly formed East Anglian Offshore Racing was 'to coordinate and encourage offshore racing by East Anglian clubs, to assist in handicapping, organising and advertising events, and to award points to Clubs upon the results of the season's races'. EAORA is now supported by 23 member clubs, some providing full teams for the Inter-Club Championship Trophy and others represented by single yachts and crew members. Many nationally recognised races and trophies are incorporated in the annual events - including as the Houghton Cup, Shipwash-Galloper Race, Buckley Goblets. Each races is run under the auspices of different clubs that cooperate in the planning of courses, starts and finishes. The social side of EAORA is legendary and most participants can recall a number of post-race parties or annual dinners that were the 'best ever'. EAORA continues to thrive because it provides great offshore racing with great friendship and camaraderie to sailors of all ages.